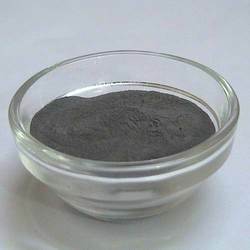 Antimony Metal PowderThe Antimony Metal Powder is widely used in production of X-Ray Apparels. - In 25 Kgs Drums or in Bulk Bags. We supply Cobalt, Carbonyl Iron, Synthetic Diamond Powder, Pre Alloy Powder, Nickel Powder and all other metal powders for Manufacturing of Diamond Tool. We are engaged in manufacturing antimony metal powder. Antimony is a poor conductor of heat and electricity and many of its compounds are toxic by inhalation and ingestion. It is also used as a catalyst for the Brominated flame retardant compound.